President Barack Obama says the United States will take action against Russia for carrying out cyberattacks during the U.S. election. Obama said any time it is proven that a foreign government tried to influence the "integrity" of U.S. elections, officials "need to take action... and we will." He made the comments during an interview with National Public Radio released Friday. Obama also spoke to reporters about the issue during a press conference Friday at the White House. He said U.S. intelligence agencies have investigated the issue and found that Russia was responsible for leaking emails of U.S. people and political institutions. Thousands of emails were leaked from the Democratic National Committee last July. The emails contained private information about committee activities. Private emails from a top campaign adviser to Democratic presidential candidate Hillary Clinton were also leaked. Some of the details were considered embarrassing for Clinton and the Democratic Party. Obama said he even brought up the issue when he saw Russian President Vladimir Putin at a G-20 meeting in China in September. He said he told Putin to "cut it out." Obama said he wanted to speak directly to Putin to let him know there would be "serious consequences" if the leaks did not stop. "We did not see further tampering of the election process," he said. But Obama noted that, at that time, the leaks were already public and could no longer be stopped. Obama said he thinks his administration handled the leaks correctly by making them public. The U.S. Department of Homeland Security and the Office of the Director of National Intelligence released a statement on the leaks in October. The statement accused the Russian government of "directing" the leaks involving U.S. people and "political organizations." It said the stolen information was intended to interfere with the U.S. election process. The statement added that top Russian officials must have authorized the activities. "And then we allowed you, and the American public, to make an assessment as to how to weigh that going into the election." 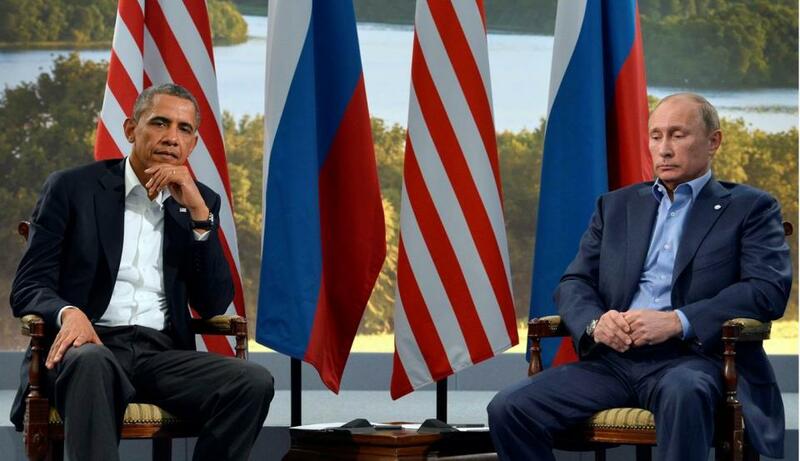 Obama said the United States had not yet decided how to answer the Russian actions. "Our goal continues to be to send a clear message to Russia, or others, not to do this to us. Because we can do stuff to you. But it is also important for us to do that in a thoughtful, methodical way." He added that the U.S. response might be handled in a private way. Obama noted that U.S. relations with Russia had already declined in recent years over several issues. He said the U.S. currently has many sanctions in place against Moscow. "So how we approach an appropriate response that increases costs for them for behavior like this in the future - but does not create problems for us - is something that's worth taking the time to think through and figure out." Russian officials have repeatedly denied any involvement in activities intended to influence the U.S. elections. They have also urged U.S. officials to make public any evidence they have. Both Republicans and Democrats in the U.S. Congress have called for investigations into possible Russian influence in the election. Senate Majority Leader Mitch McConnell of Kentucky and House Speaker Paul Ryan of Wisconsin have called for full investigations into the election. U.S. President-elect Donald Trump has rejected suggestions by intelligence agencies that Russia carried out cyberattacks to help him win the election. On Thursday, Trump again raised questions about the accusations on Twitter. "If Russia, or some other entity, was hacking, why did the White House wait so long to act? Why did they only complain after Hillary lost?" he wrote. Some foreign government and international banking establishment also make loan to us. In 2014, the focus of many cyber attacks was stolen credit cards and financial crime. 1.U.S. President-elect Donald Trump has rejected suggestions by intelligence agencies that Russia carried out cyberattacks to help him win the election. 2.They have also urged U.S. officials to make public any evidence they have. The British government threatened to make public its disquiet but then pulled back. One should never make public property one's private possession.